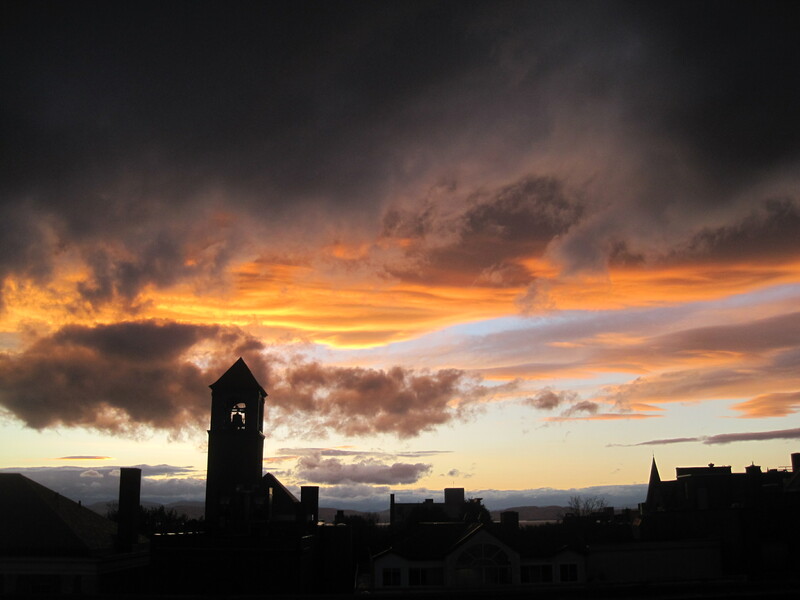 After a rainy, dark, chilly day, Burlington, Vermont was treated to another gorgeous sunset, as you can see from the photo I took from the roof of the Burlington Free Press downtown. The march toward winter continued today, as the first snow flurries of the season descended on downtown Burlington. Only a few flakes, no accumulation, but still….. This entry was posted on October 22, 2010 at 9:16 pm and is filed under Uncategorized. You can follow any responses to this entry through the RSS 2.0 feed. You can leave a response, or trackback from your own site. Beautiful color in that sky!